My favorite book is Falling Into You by Jasinda Wilder. I absolutley adore this book and this is who I'd cast for the movie. I've been seeing a lot of Ian on this blog hop (including on my casting) - not that I'm complaining :-) I haven't read this one, but it's on my tbr. I'm more motivated after seeing your casting to get to it though! never heard of the book but since you're casting Ian Sommerhalder, I'm going to check it out. 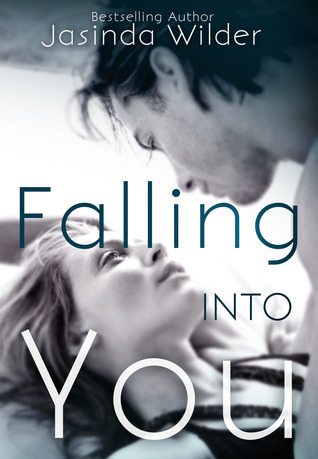 Oh Em Gee, Falling Into You is my fave! That is until I read Tears of Tess this week. Have you read it yet? I love every book in your header, and I'm obsessed with Starbucks. I've been drinking a salted caramel frapp's all week! I love your casting choices! :-) It is a really beautiful book. Thanks for stopping by! Yay!! I love meeting new people, especially those with the same book tastes. So glad you happened upon my little corner here :-) I haven't read Tears of Tess yet but I have it. Not gonna lie, I'm a little scared to read it but I have heard good things so I'm bumping it to the top of my TBR. I have been drinking pumpkin spice lattes since they brought them back. Love the Salted Caramel too! Thanks! I really see these two together well as the characters. Omg IAN. He's like my number 1 celebrity crush. I love him. And I think he'd totally pull off the tortured soul. ALSO. Kind of random but I could not bring back all the books with me but when fiance comes to visit me in a few weeks, he's gonna bring Falling into Us down for me. =) OH and did I tell you he liked the door hanger? =) hahaha. Great cast, just like I imagined Colton and Nell! 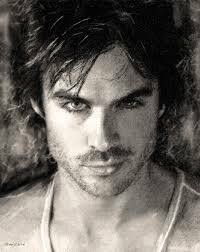 Ian Somerhalder is a fan favorite, a lot of people, including me, are casting him for various parts. I was really scared to read it too! ; but Pepper Winters told me there wasn't a cliffhanger, and that the second book was coming out soon, so I read it and loved it! That's an interesting casting. I haven't read the book yet, but it's on my TBR list. Ian is very popular, I have seen him on so many. :-) This is one of my most favorite books. Definitely a must read!